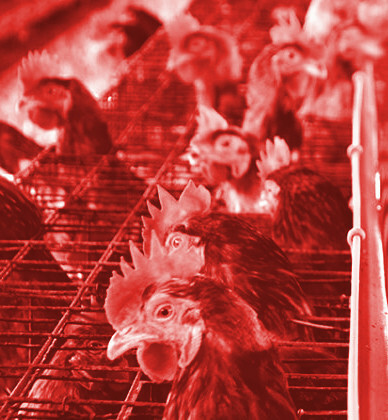 Caged hens have emerged as one of the main concerns in a review of poultry guidelines. Authorities are working on new animal welfare standards and guidelines for poultry to replace 15-year-old voluntary regulations. The guidelines cover all aspects of poultry farming, but cage eggs are a major focus. Animal welfare groups including the RSPCA and Animals Australia want cages banned, but Egg Farmers of Australia says even phasing out cages is a “radical suggestion” that would lead to massive loss of production. Currently, 56 per cent of egg production in Australia involves cages. While the egg lobby accepts that caged chickens suffer an increased rate of osteoporosis, he said the industry was looking calcium supplements and other measures to mitigate that risk. The draft guidelines say that phasing out battery cages over 10 years would cost the industry $1.5 billion. There is already significant momentum in the move away from cages. The European Union banned battery cages in 2012, and now allows only “furnished” cages, which provide hens with more space, a perch, nest and litter area. New Zealand is phasing out individual battery cages by 2022, but will allow hens to be kept in larger “colony” cages. In Australia, Coles has responded to consumer pressure by no longer using cage eggs under its in-house brand, while Woolworths plans to phase out all cage eggs by 2025. Gregory Cronin, a senior lecturer in animal behaviour and animal welfare science at the University of Sydney, says there is evidence that the health of birds can be improved by keeping them in cages “because you’re not exposing them to pathogens from their own faeces and being in contact with the ground”. “That’s why 50 or 60 years ago the industry went into cages to break that disease cycle,” he told The Guardian. Free-range setups have risks too. He said the industry will move away from cages, “if society is prepared to pay the extra money for the eggs”. Public consultation closes on Monday.